Ayurveda purses a more holistic approach, therefore one always finds few pointers when it comes to beautiful and groomed hair. This article has complied a list of hair care tips according to Ayurveda. Today, the primary protective function of the hair has receded into the background. Hair is much more an expression of one's personality. The problem arises when switching to a new shampoo or conditioner does not to repair brittle and dull hair. Damaged hair can be the result of an array of factors ranging from a lack of nutrients to an incorrect hair care routine. Ayurveda assesses all these factors using a holistic system. A healthy body, and in this case healthy hair, can only be achieved when one lives a healthy and balanced lifestyle. We are more aware of chemicals found in cosmetics today than ever before, which leads to the problem at hand: Chemical agents give hair a more beautiful appearance on the surface, however, they do our hair a disservice. For instance, silicone gives the impression of healthy and supple strands, but completely restricts the hair and scalp from breathing and absorbing needed nutrients. The result is brittle hair and split ends. Unfortunately, silicone is only one of many harmful substances found in conventional cosmetics today. Thus, to attain healthier hair it is advisable to go for the more natural route. Our hair requires care from within. Our diet serves to supply hair with the nutrition it needs. We recommended following a health, varied diet filled with fruits and vegetables. Broccoli, carrots, pumpkin, radish, beetroot and seasoned well with cumin, turmeric, coriander, mint or basil. Wholewheat and fresh dairy products and nuts should be incorporated. It is best to adjust your diet to your specific dosha type, because often increased pitta results in hair loss or greying hair. There is nothing more harmful for the hair than heat. Let your hair air dry instead of using heating tools. Cleanse hair with lukewarm water and protect it from the direct sun. Massage the scalp regularly. This promotes blood circulation, dead skin cells are freed from the skin and the hair roots are strengthened. Use hair oil on a regular basis and leave it to absorb into the follicles and scalp at least an hour. The longer oil penetratess the hair, the better. Use products that are tailored to your hair type. 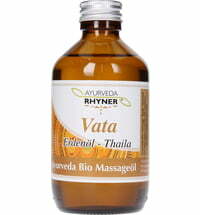 Ayurvedic shampoos do not contain any harsh chemical ingredients. Brush or comb your hair daily with 100 brush strokes. 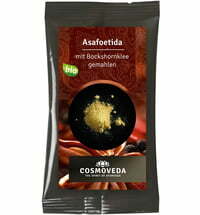 This promotes blood circulation in the scalp, thus improving nutrient supply to the hair roots. Brushes with natural bristles and wooden combs with chunky teeth are best suited for this purpose. Discover our range of the hair care products by clicking this link.